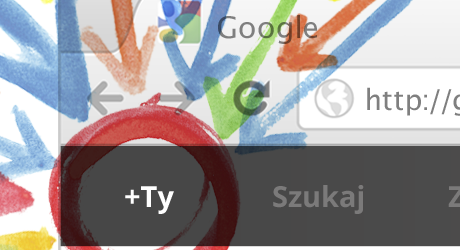 Social Media Marketing Kultury: Feedback od testerów Google+ i ich obsługa przez Google+ "You Rock!" Feedback od testerów Google+ i ich obsługa przez Google+ "You Rock!" I wanted to thank everyone for the great feedback you have all provided. We are starting to iterate on solutions to some of the first round of obvious issues, so keep checking back to see what's changing. Most of this feedback comes from the "send feedback" link on the bottom of the page which is sent to a group of people that aggregate the data and send it to the Technical Leads and Product Managers of each team. * Some way of having hierarchical or sub-circles or some way of doing set logic (This and this but not that). * Easier way of dragging people from one circle to another. * People editor gets a little "clunky" sometimes, freezes up, etc..
* "Sharing" your circle, a.k.a. "shared circles", a.k.a. communities. * Too many random people following me, don't want to block them, but don't want to see them either. * Out of sync if you add someone from the top bar, they aren't in the main page. * Inconsistent results in autocomplete, can't always find people. * Import groups and people from orkut, google contacts, you tube, etc..
* I want my vanity domain to work. I've received tons of feedback about other parts of the product as well, and I've sent them to the right people...this post is only focusing on Social Graph stuff. +Kelly Ellis posted a video about some of the stream feedback if you guys are interested. You guys, our users, rock! So, keep banging on our product, we hope to make it the best social network on the planet!